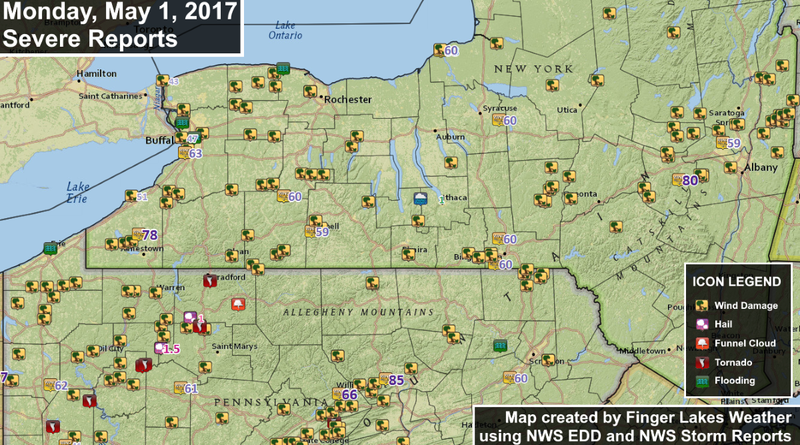 Where were the worst of the storms and how did Finger Lakes Weather do with covering the severe weather? Widespread damaging winds with some significant damage and tornadoes nearby in Pennsylvania made for a significant severe weather event. Click map to enlarge. 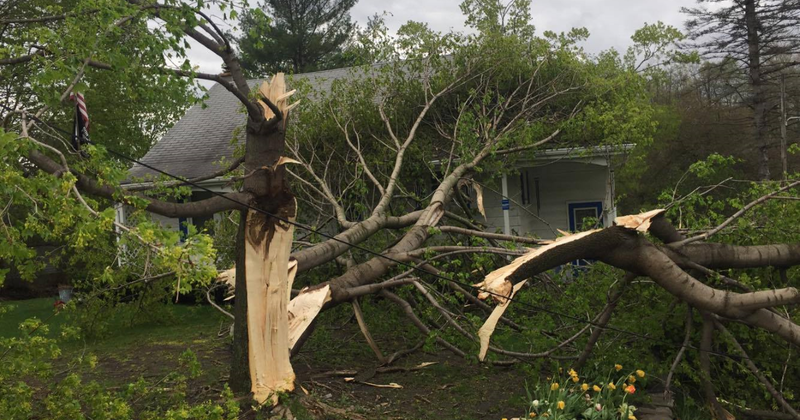 Severe thunderstorms produced damage across a wide portion of the Finger Lakes and surrounding regions. These severe thunderstorms rolled across the region as a squall line between 3-9 pm. Most of the Finger Lakes saw this squall line between 4-7 pm. Gusty winds, heavy rain, and frequent lightning were common for most areas. Locally, the Moravia area was hit particularly hard, with dozens of trees downed by straight-line winds of 60-75 mph. The damage photos I have seen have been very indicative of straight line winds, with all fallen trees pointing the same direction. A tornado warning was issued late in the evening just east of the region in central and eastern Chenango County. The National Weather Service did not find evidence of a tornado, but estimated wind speeds of 90-100 miles per hour in the straight line winds of that area. Dozens of communities had sporadic tree damage and power outages. Even now, 48 hours later, there remain some pockets of areas that are without power. In addition to the widespread wind damage, a number of tornadoes were confirmed in western and northwestern Pennsylvania. No tornadoes were confirmed in the immediate Finger Lakes region. The widespread nature of light damage, multiple tornado reports nearby in Pennsylvania, and intensity of the strongest storms and most severe damage made this a significant severe weather event for our area. I first addressed the weather for Monday and mentioned the possibility of thunderstorms in my blog Friday morning. My next update was Sunday afternoon and was specifically focused on the severe thunderstorm threat. In my blog Monday morning, I set the risk level at ‘Elevated’, which is the 3rd of 5 levels on my Finger Lakes centric severe weather scale. Wind damage was the primary threat, as I mentioned in that blog post early Monday. The main threat from these thunderstorms will be strong, damaging winds. A few isolated areas could see winds in excess of 80 mph, which could cause slight structural damage in addition to significant tree damage and lengthy power outages. More widespread instances of downed branches and short term power outages are likely. There was also concern for tornadoes from the severe thunderstorms, prompting the Storm Prediction Center in Oklahoma to issue a Tornado Watch for the area. The storm reports map above is exactly what I was expecting. There were plenty of wind damage reports, a few significant reports, and some tornadic activity. The reports were numerous, but the very severe reports were not so widespread that it would be considered a true outbreak, which is a label I reserve for especially dangerous severe weather events. This was the type of severe weather event we seem to get at least once every couple of years. Overall, I am extremely pleased with how the forecast verified. I tried some new techniques to cover the severe thunderstorms, namely experimenting with a long duration, live broadcast using the Facebook Live platform. I had experimented with Facebook Live over the winter but was not able to get it to work with an older computer and slower internet. After my old computer finally quit a few weeks ago, I was able to invest in a much faster computer. My new computer easily handled having numerous windows open while streaming live video for over 3 hours without any lag or problems. I want to stress the opportunities this opens in the future, with more live broadcasts during severe weather and the possibility of regular video forecasts. This is a direct result of the financial support from my sponsors and donors. My sponsors and donors have helped Finger Lakes Weather continue to grow far beyond what I would be able to do myself. Thank you all so much for your support! Between Sunday and Monday, FLXweather.com had almost 11,000 page loads. My Facebook Live broadcast has had over 20,000 views of at least 10 seconds, and nearly 400 people were watching live simultaneously at one point during the broadcast. Finger Lakes Weather continues to grow with leaps and bounds. I attribute that growth to the honest, accessible approach I take to the weather and the accuracy of my forecasts that comes with living in and experiencing the weather in the Finger Lakes. The financial support of sponsors and donors is vital to making Finger Lakes Weather better. Financial support allows me to spend more time forecasting the weather and developing new services while giving me the capital to purchase necessary equipment, software, media, and subscriptions. My goal is to continue to grow Finger Lakes Weather into a full-time operation with a wide range of services, including daily forecast videos and a mobile app. I am very close to making more of these goals reality. Finger Lakes Weather already has over 236,000 page views in 2017. This is already significantly more traffic compared to all of 2016 (198,000 page loads) and 2015 (157,000 page loads). 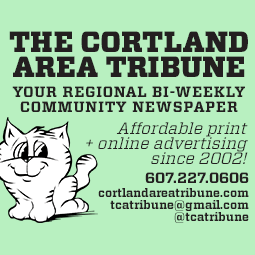 At these traffic rates, my advertising costs are extremely competitive, especially since local businesses know they are tapping into the local Finger Lakes market they serve. To get in on the ground floor before prices increase, please see the sponsorship page for more information. Individuals wishing to donate on a regular, automatic basis should visit my donor page. Those looking to give a one-time donation can use the buttons below. 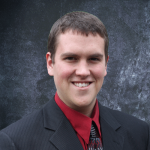 Again, thank you for your support and helping Finger Lakes Weather experience tremendous growth!